At the core, isn’t every ethics program about trust? And if trust is earned over time, does that mean we must begin from a place of distrust? It gets a little complicated. As someone who manages the calls to the hotline of a global, European based aerospace company, I can tell you that 80% of the calls to our hotline are HR related. And of those, the overwhelming number reflect a lack of trust in managers and colleagues. The complaints are often grounded in disrespect, a definite deal breaker in the trust department! So let’s take a closer look at what organizations do to generate, extend and sustain trust. First, we like to say that we hire the right people. Easy to say. OK, let’s assume that we have on-boarded the right folks for our culture. They have the right skill sets, the right education, the right inclination. But they do not and never will work alone. They will be part of a team or a department managed by someone who will be a world class manager. Or not! The great manager may move on. The bad manager may move up. The promising new employee may feel betrayed…a component of trust. The employees trust that we will give them all the tools they will need to succeed. Actual tools and supportive tools. They entrust their financial and professional future to the “organization”. Now that’s a disembodied concept: the organization, the company, the business. All of them are only as good as the people within them. They have aspirations and goals. They may have families that depend on them. We want them to succeed so that the rest of us can succeed. So, we provide training along the way. The right way and hopefully not the wrong way to manage work relationships. The respectful way! We have classroom training, online training and on-the-job training. We have remedial training when someone gets it wrong. We are all about the tools to get the job done. A wise man once observed that if the only tool in your toolbox is a hammer, every problem looks like a nail! Trust is a bit like training for the Olympics. It’s really hard to get into shape and really easy to get out of shape. So we need to cultivate the muscle memory of our trust. The more we trust the better we get at doing it. As I said in an earlier article in this series about the ABCs of Business, “Trust but verify”. And so, we audit, we measure output and quality, we encourage and support. In the article “M is for Metrics” we looked at how hard it is to measure ethical behavior. Instead, it seemed much easier to spot unethical behavior and respond appropriately…up to and including termination of employment. If I had to summarize what trust is all about in the work setting, I would have to say it is a two-way street. We get as much or as little trust as we give. At the risk of sounding preachy, I will offer this thought: take a chance on people. You selected them from the population of candidates for the job. Get out of their way and let them do what they are good at – making things, keeping more of the proceeds of the business, succeeding. And say “thank you” more often. Then sit back and feel the trust! Your turn. 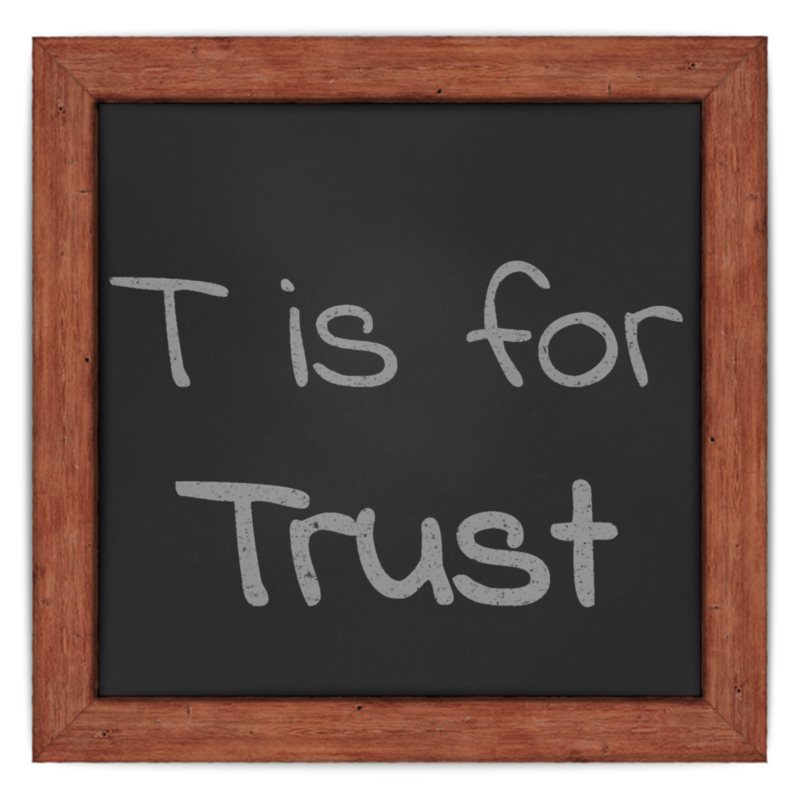 Is there enough trust in your organization? How did you generate it? How will you keep it?